The FIU Office of Governmental Relations serves as the official liaison between the University and local, state, and federal governments. The Governmental Relations team is composed of experienced staff in Miami, Tallahassee, and Washington, DC, that advocates for FIU’s legislative priorities, secures public funding, and strengthens relationships with elected officials. 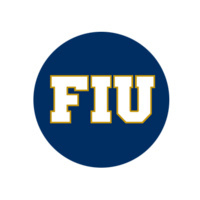 The division also oversees and facilitates various internship programs and works with the FIU Student Government Association (SGA), the Alumni Association, and the Faculty Senate to promote advocacy among the FIU community.